AW-NB136NF combo device provides the highest level of integration, and includes IEEE 802.11 a/b/g and 2x2 802.11n (media access controller (MAC)/baseband/radio), Bluetooth 4.0. 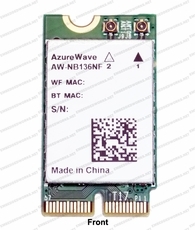 AW-NB136NF uses DSSS, OFDM, DBPSK, DQPSK, CCK and QAM baseband modulation technologies. A high level of integration and full implementation of the power management functions specified in the IEEE 802.11 standard minimize the system power requirements by using AW-NB136NF. In addition to the support of WPA/WPA2 (personal) and WEP encryption, AW-NB136NF also supports IEEE 802.11i security standard through AES and TKIP acceleration hardware for faster data encryption. AW-NB136NF is also Cisco Compatible Extension (CCX) certified. For video, voice and multimedia applications, AW-NB136NF supports 802.11e Quality of Service (QoS). 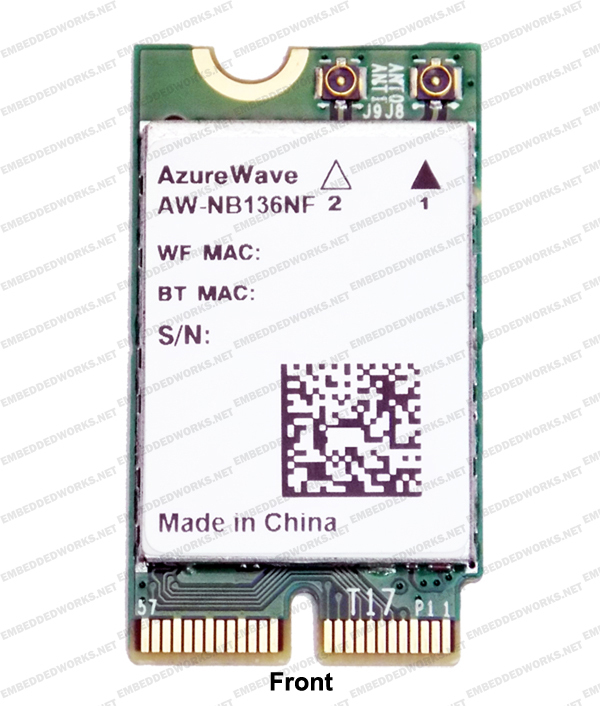 For Bluetooth operation, AW-NB136NF is Bluetooth 4.0 compliant. AW-NB136NF supports extended Synchronous Connections (eSCO), for enhanced voice quality by allowing for retransmission of dropped packets, and Adaptive Frequency Hopping (AFH) for reducing radio frequency interference. It provides easier to connect devices, lower power consumption and improved security. AW-NB136NF combo device provides the highest level of integration, and includes IEEE 802.11 a/b/g and 2x2 802.11n (media access controller (MAC)/baseband/radio), Bluetooth 4.0. It also features an integrated Power Management Unit (PMU), Power Amplifiers (PAs), and a Low Noise Amplifier (LNA) to address the needs of mobile devices that require minimal power consumption and compact size.